E unit Update – production samples shipped yesterday!! Thank you all for your patience. The E7s, 8s and 9s production samples shipped to us yesterday. We should see them early next week. If all goes well. The production models will be here a few weeks later. The PLA is one of the groups responsible for restoration, maintenance and operation of a number of historic railroad locomotives and rolling stock that operate at Niles Canyon railroad museum. They are in the home stretch of restoration and return to operation work on the last remaining Southern Pacific Krauss Maffei diesel hydraulic. We are big fans of all things KM and would love for our KM project to move forward unfortunately we don’t yet have enough reservations to move it in to production. If you are at all interested in seeing these models built please reserve one through you local dealer. Here is a note posted on the PLA web site hoping to drum up a few more reservations. Union Terminal Imports, maker of hand built, fully-finished and operating collectible brass railroad models, is offering a special commemorative HO scale model of the Krauss-Maffei ML 4000 C’C’ diesel-hydraulic “Series Unit” locomotive. The makers are working closely with the SP 9010 team to ensure absolute accuracy and fine detailing, and are offering to PLA members a special SP 9010 model in a fine wooden presentation box. 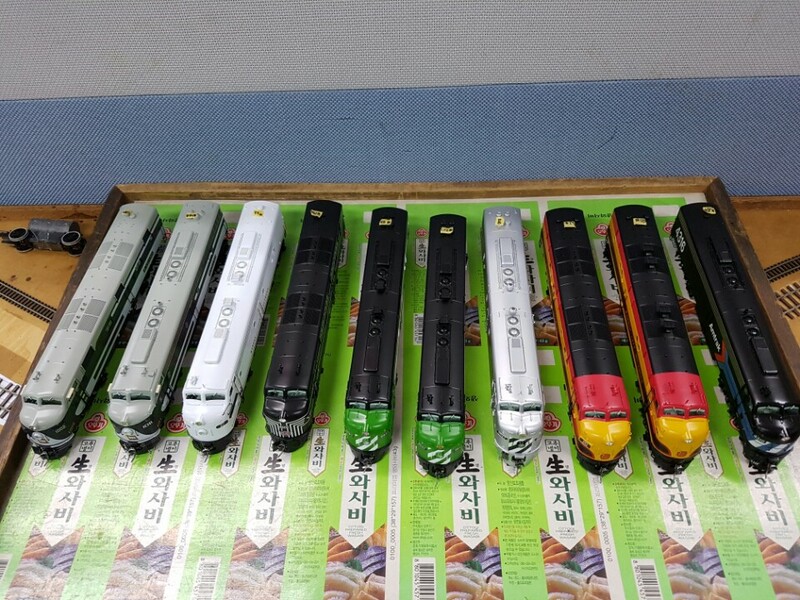 A number of PLA members have already reserved one or more of these unique models. As of this date, Union Terminal hasn’t received the minimum order necessary to guarantee production. The models are not inexpensive, and exact price can’t be determined until the factory can determine how many they will build. For reference, you can estimate that they will cost more than a comparable brass HO scale U.S.-prototype diesel locomotive, due to the fine detail planned and the small collectible quantities. The program is on hold, but not yet cancelled. If you’ve already placed your reservation with Union Terminal or your brass dealer, it’s still on the books. But if you haven’t yet heard about this program and would like a fine brass model of SP 9010 and other KM roster cousins, now is a good time to visit the Union Terminal website or your hobby dealer and place an order.